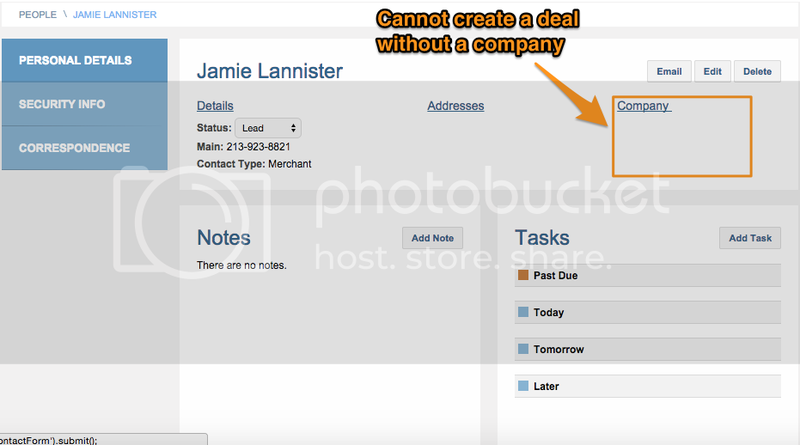 MCA Suite does not allow deals to be created for contacts that are "Persons." Deals need to be tied to companies (as merchant cash advances are tied to the business/company, not the individual), and specifically, only to MERCHANT companies (see: "Can I add a deal to a Broker or Funding Company?"). Below you see a screenshot of a Person (Jamie Lannister) without a Company. Hence there's no "Add Deal" button visible. 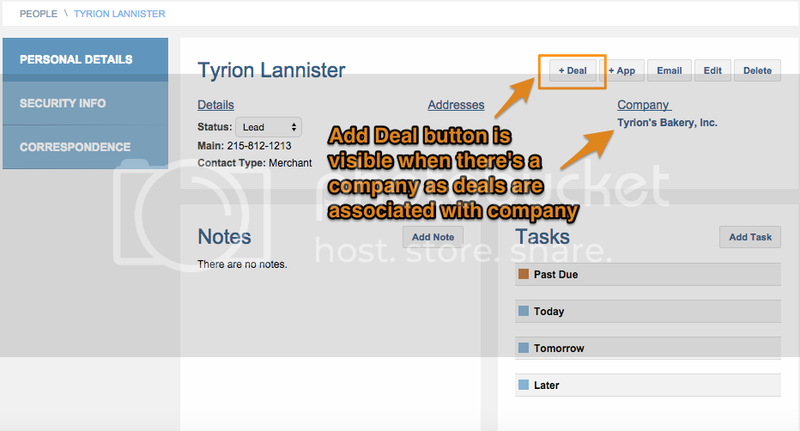 The screenshot below shows another Person (Tyrion Lannister) with the "Add Deal" tab visible because there's a Company (business) associated with the contact. Below you see a screenshot of a Company (Tyrion's Bakery, Inc.). Users can also create deals for the Company page.